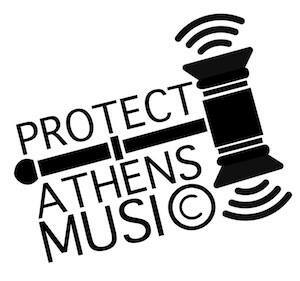 Digital Commons @ Georgia Law - Protect Athens Music: Influence vs. Infringement: What Does Williams v. Bridgeport Music Mean For Musicians and Copyright Law? Influence vs. Infringement: What Does Williams v. Bridgeport Music Mean For Musicians and Copyright Law? The jury in Williams v. Bridgeport Music, Inc. (the “Blurred Lines” trial) found that Pharrell Williams, Robin Thicke, and Clifford Harris Jr.’s hit song “Blurred Lines” infringed on the Marvin Gaye Estate’s copyright for the 1977 song “Got to Give It Up.” The Gaye family was awarded more than $7.4 million in damages and profits and a 50 percent running royalty on future songwriter and publishing revenue for “Blurred Lines.” Since the jury reached its verdict in Williams v. Bridgeport Music, Inc., musicians, copyright scholars, and fans alike have been left to ponder what copyright infringement truly means. Did the jury get it right? What does it mean to infringe on someone’s copyright? What is the effect of a musicologist’s testimony on a lay jury? What does the jury’s logically inconsistent verdict mean for the future of copyright? How should musicians protect themselves from similar lawsuits going forward?